Chia Seeds: They’re not Just for Growing Pets! Chia seeds are the superfood of superfoods! These tiny black seeds that are related to the mint family, have an array of benefits and are so easy to incorporate into your nutrition! For such a tiny seed, these babies pack a powerful punch! They are loaded with protein, fiber, omega-3 fatty acids, and antioxidants. They also have other vitamins and minerals like calcium, magnesium, and phosphorus. The name “chia” literally means “strength,” so they are more than okay in our book! Easy to incorporate into foods and any diet! Oh, and guess what? 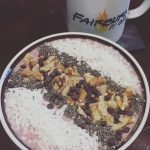 Bob’s Red Mill is sponsoring the Winter Burn Challenge, so you could actually win some of their chia seeds! If you haven’t joined this free challenge yet, you can do so here. Are you a member? 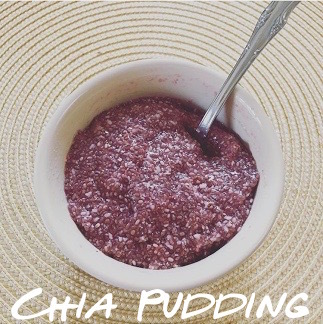 Go grab your plan and whip up some chia pudding or an acai bowl with chia seeds on top! Not a member yet? Join below! 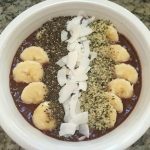 An Acai Bowl featured from the lifetime plan and a Smoothie Bowl coming soon to the Spring and Summer Lifetime Plan update! *Although chia seeds do contain all of the necessary ingredients to aid in weight loss, make you feel full, and prevent against diseases, it is not a cure all! Chia seeds should be used in addition to a healthy diet and exercise. Next 4 Weeks to a Stronger Core!